The bridesmaid leans over from where she stands giving her speech in order to clink glasses with the bride and groom. 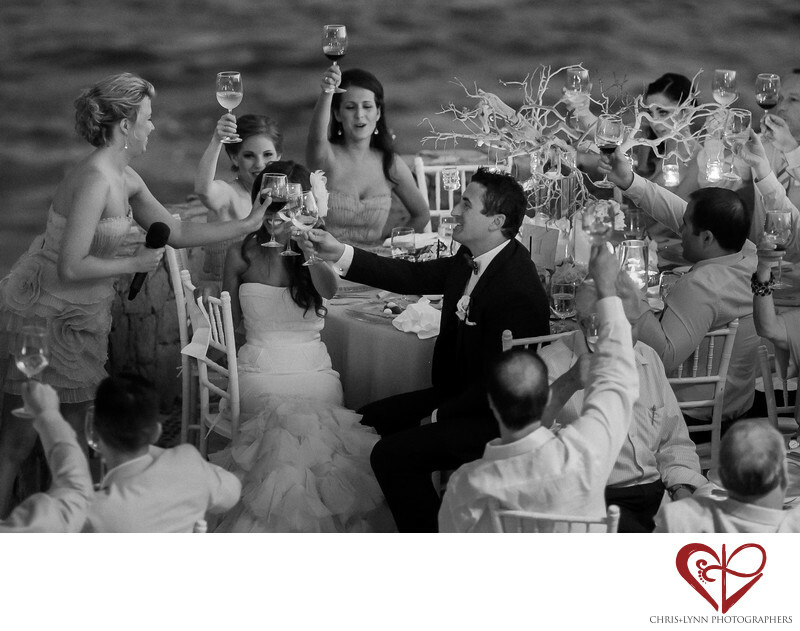 The bridesmaid has a huge smile on her face as she toasts the bride and groom, wishing them the best. After much time spent preparing her speech, the toast goes smoothly and the guests are all emotionally moved. The bride and groom smile as they toast the bridesmaid who has given such a kind and thoughtful speech. By the light of candles, all the other guests also raise their glasses to join the speaking bridesmaid in her toast to Erica and Erich. 1/80; f/2.0; ISO 3200; 135.0 mm.